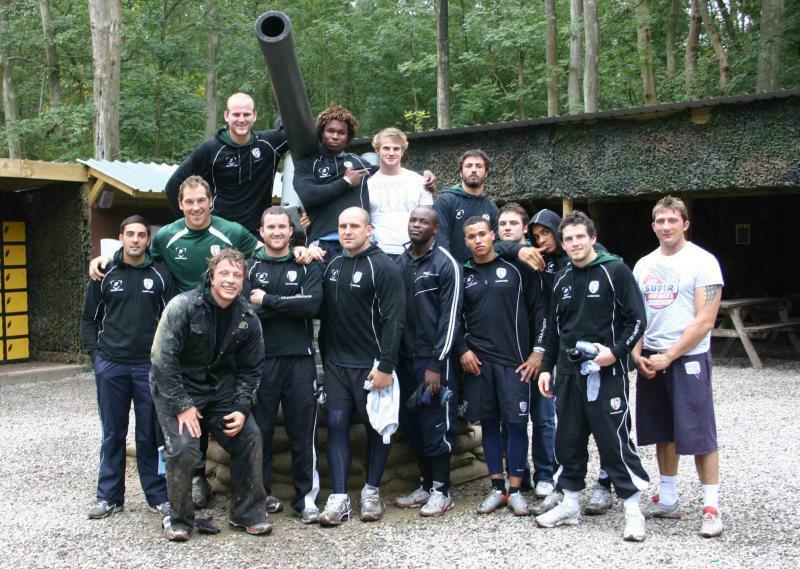 London Irish charge through Delta Force Paintball in Surrey! Last week at Delta Force Paintball in Surrey, a celebrity hotspot of late, the peaceful air in the woodlands of Effingham was riddled with the battle cries of the London Irish Rugby Union team! The guys came down for the day as part of a series of team building exercises and according to the managers, the marshals and the lads themselves, everyone had an incredible day out! London Irish was established in 1898 as a hospitable venue to provide a home from Ireland for wandering Irish men and women, regardless of creed or politics. Since the club became a professional rugby club in 1996, it has not only provided a venue for the professional team to train but it is also the base of operations for the London Irish Rugby Academy and the Amateur Club. During the week, their venue in Sunbury-on-Thames provides training and games for well over 400 people. In twenty years of operation, the quality of service that Delta Force Paintball has always been favoured over other providers by celebrities, sports teams, corporate groups, stag & hen groups to name a few. If you are looking to celebrate an event or just fancy a fun day out with your friends and family then a day of paintball with Delta Force might just be perfect for you. Give our booking office a call on 0844 477 5050 or request a call back and enquire about what kind of exciting paintball package we can offer you and your group.